One time for the birthday chick! Golden State Warriors baller Steph Curry went all out for his wife's Ayesha Curry's milestone birthday. 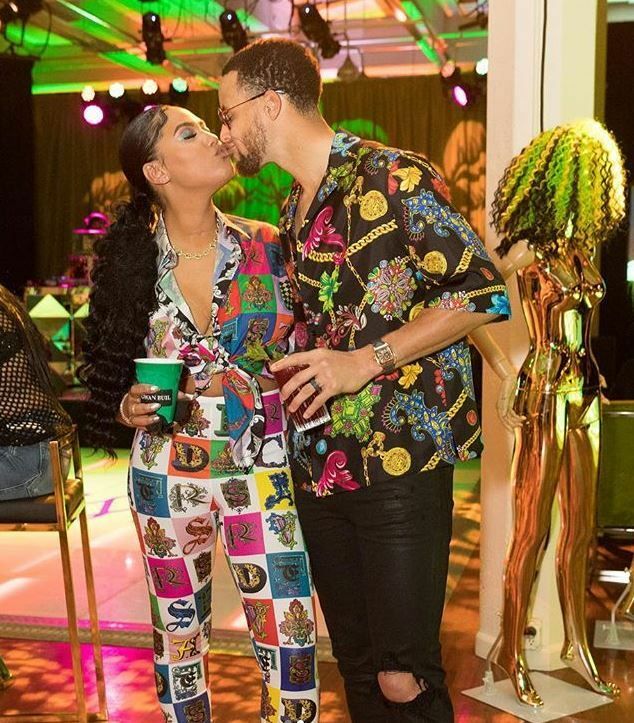 The NBA player surprised his wife with a Caribean-themed birthday party to celebrate her 30th birthday. And the couple turned all the way up on the dance floor. Several of Ayesha's celeb friends were in attendance, including Gabrielle Union, Tamera Mowry Housley, Jessica Alba, Sabina Gadecki and more. The celebrity chef had no clue what was going on ahead of the festivities while riding in a party bus, hopping on IG stories saying, "We're getting me ready for something," and writing on the video that she's "not used to surprises." "Husband of the century right here," Ayesha captioned on Instagram. "My heart is beyond full. Thank you to everyone who came out to celebrate last night. I can’t believe it. Thank you My choochie, sher bear and TT and everyone else who made last night so perfect. What a beginning to the next chapter of my life! The story is just getting interesting." During the party, Steph hopped on the mic and said,"We talk a lot about speaking things into existence, about what you're going to do in your 30s and beyond, and we're all going to be here to see and witness it firsthand. So, I'm very excited to be here with family and friends, to celebrate your life." coming through with the big chuneeeeez. Fun times. Happy "Dirty Thirty" Ayesha!